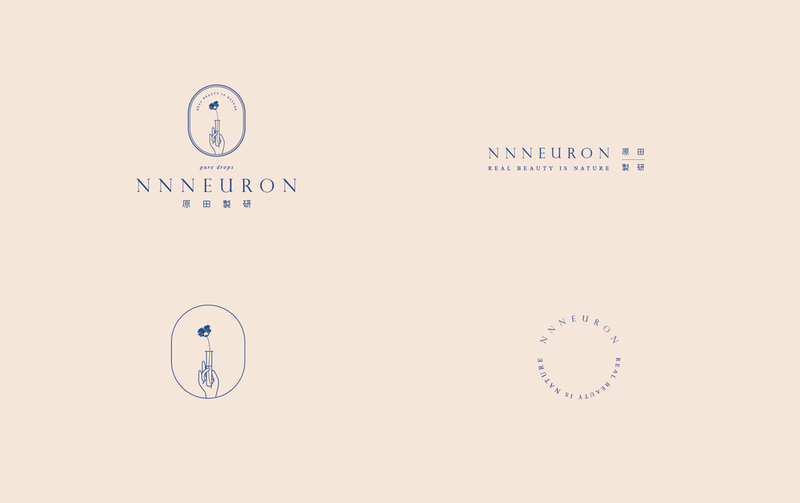 Nnneuron uses 妙手回春 (miào shǒu huí chūn，a Chinese idiom referring to a doctor’s miraculous treatment which can bring back the dying patient) these four words as the main theme and creates a series of visual applications thereafter. The icons circle around the test tube with hands supporting it from beneath. Inside the tube stands a flower, which symbolizes the brand’s innovative spirit. 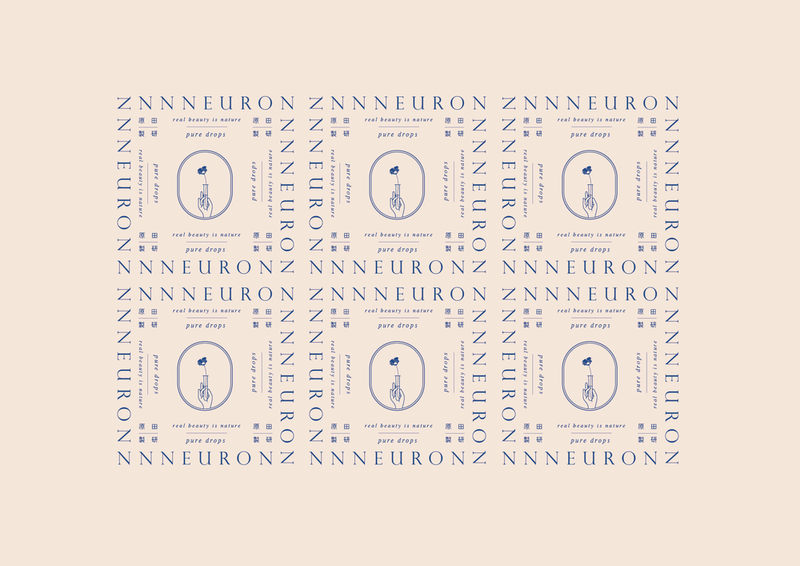 Nnn’s brand features blue and peach color, matching the style of Japanese color scheme. The peach color (Chinese: 膚色fūsè，meaning “skin color”) represents the skin, and the blue color represents the pure nature. The two colors complement each other and build the brand’s unique beauty and style. To emphasize the brand’s aesthetics and profession, the elements and characters inside the icons comprise a set of brand symbols. Assembling and disassembling, the icons delicately form the flexible brand symbols that can apply to every scene and scenario.